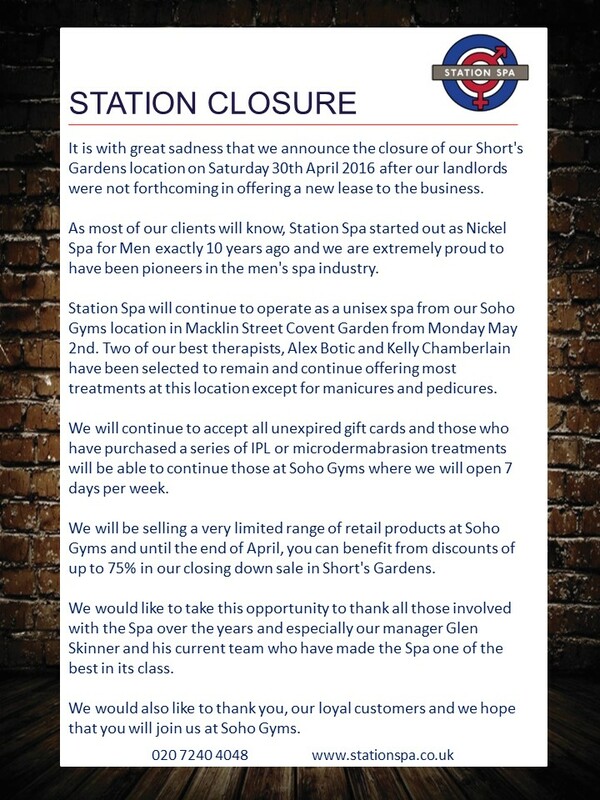 Sad news from the team at Station Spa (formerly Nickel Spa) in Covent Garden. It is to close its doors for good on Saturday 30 April 2016. The reason for the closure is that was unable to secure a new lease from its landlord. The good news is that treatments will still be able at Soho Gyms Covent Garden on Macklin Street. Until then, the spa is of course very much open for business. Station Spa’s former New York counterpart also closed in 2013. This entry was posted in London - Soho & The West End and tagged Covent Garden, London, Spas. Bookmark the permalink.